A descendant of Daniel Boone, Pat Boone was born in Jacksonville, Florida, on June 1, 1934, the oldest child of Archie and Margaret Boone. The name on his birth certificate is Charles Eugene Boone, but Archie and Margaret had intended to name their first child – their daughter – Patricia, and the nickname "Pat" stuck to their firstborn son. Pat Boone and Shirley Foley were high school sweethearts. They had music in common. Boone had been winning local talent contests and hosted a local talent show on radio. Shirley’s father was radio, television and country music recording star Red Foley, and her parents had met when both sang on the same radio program. Likewise, Boone and Shirley both sang in the David Lipscomb High School chorus. And shortly after graduation, they eloped, both at age 19. Boone enrolled at North Texas State College; Shirley gave birth to their first daughter, Cherry. Randy Wood, founder and president of Dot Records, signed Boone to an exclusive contract in 1954, and Boone recorded his first song and first hit, "Two Hearts, Two Kisses, One Love." "Ain’t That a Shame," his second recording and first number one hit followed, then the network TV show, the movies and more hit songs. Through all the career success, Pat and Shirley Boone were very active church members, and Shirley made their lives accommodate Pat’s efforts toward his honors degree. But Shirley had her own efforts as well. In the span of 3 ½ years she gave birth to Lindy, Debby (who would develop into another singing star) and Laury. Boone has co-chaired the national Day of Prayer on the first Thursday in May for years. In 1994, he co-chaired a huge (200 churches, 25 denominations, 54,000 attendance) week-long evangelistic crusade in the San Fernando Valley, where he spoke and sang. To make this land our home. ‘Tho I must fight, I’ll fight to make this land our own..."
His empathy with the Israeli cause and his subsequent authoring of the lyrics to "The Theme from Exodus" gave Boone a special connection with the nation of Israel. In 1979 the Israeli government honored Boone with the Israel Cultural Award, that country’s highest award for non-natives, in recognition of his artistry and humanitarianism. More recently the Israeli Tourism Department in the U.S. named him Christian Ambassador to Israel. In this capacity, he has led tours to Israel for the Christian Broadcasting Network. 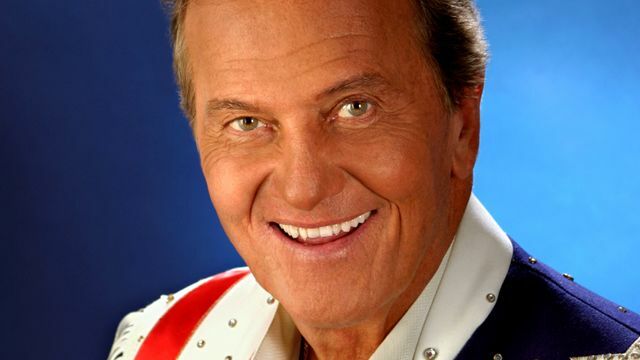 July 1996 saw another dream of Pat Boone’s materialize – a beautiful and heartwarming video entitled "American Glory," portraying many favorite patriotic songs, plus the U.S. Armed Forces songs. "Pat Boone was delightful. He took his time with each participant and made such an impact with his music and inspiring presentation. I recommend him to anyone wanting a special program to motivate and inspire people."